Yogurt, the epitome of tangy and thick curd that can be eaten on its own or pair with various toppings. You can add yogurt, especially the plain ones, to your breakfast, lunch or even dinner recipes. And of course, this daily staple is popular for dessert as well. Stuck with ideas? Here are the 10 creative recipes you can do to jazz up your plain yogurt. Forget about whipped cream. Substitute with plain yogurt instead. Add sweet and savoury toppings like chopped berries, banana slices, oats and/or nuts. If budget is not an issue, you can sprinkle some chia seeds as well. These frozen treats are definitely the best pick-me-up treats during the sunny days. Blend your favourite fruits (mixed berries would do great!) and yogurt together. Fill the mixture into the popsicle moulds and freeze them until firm. Most people can cook scrambled eggs. After all, they are easy to make. But if you like them creamy, yogurt is your answer. Or more specifically, Greek yogurt. The recipe is more or less the same. Only this time, you whip a dollop of Greek yogurt into the beaten eggs mixture before you start scrambling them on a hot pan with melted butter. Running out of milk? Greek yogurt is your next best alternative. They sure add the right creaminess when combined with the melted cheese and cooked macaroni. Blending a glass of fruit smoothie? Leave the milk aside for a change. Add Greek yogurt instead. Apart from its richness and creamy consistency, it also packed with protein and vitamins. Sour cream goes well with potato chips. If you want a healthier option, why not switch to plain yogurt? Make your own dip by combining the yogurt, chives, dills, some lemon juice as well as salt and pepper to taste. Malaysians sure love a hearty bowl of chicken curry. You can get creative by adding yogurt instead of coconut milk while cooking your chicken curry. Likewise, it’s best to pair with white rice or a slice of bread. French toast is no doubt one of the most fulfiling breakfasts in the morning. If you like your French toast rich, add Greek yogurt to your egg batter. 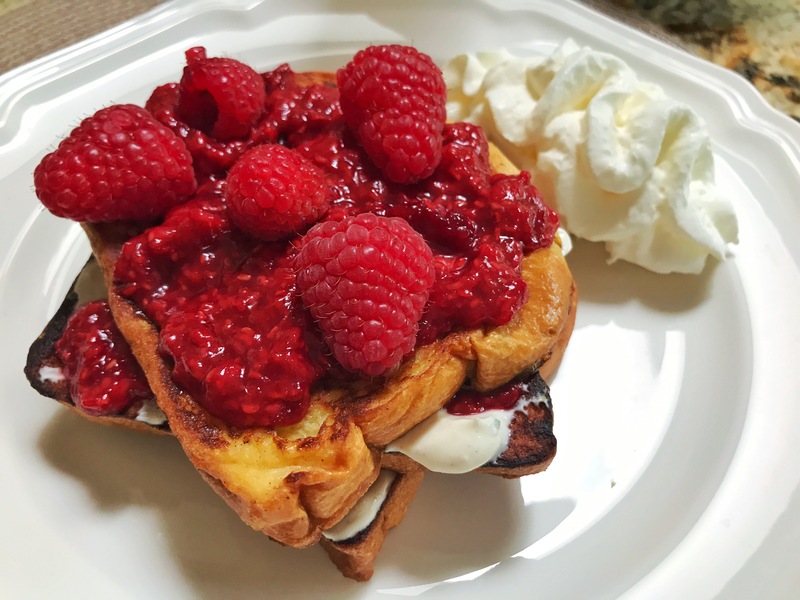 After frying your toast to golden brown, top it off with some chopped berries or honey syrup. Mayo is a common sauce for most burgers. But what about spreading your meat patty with yogurt sauce for a change? The recipe for the yogurt sauce is simple. Just combine it with minced garlic, dill and lemon juice. Now, lay off those canned cream soups and make your own instead. We know that heavy cream is among the crucial ingredients here. But if you like your soup creamy without that guilt, opt for Greek yogurt instead. In fact, it’s just as rich, creamy and above all, healthier. Next articleTicket Giveaway for John Legend Live in Genting!